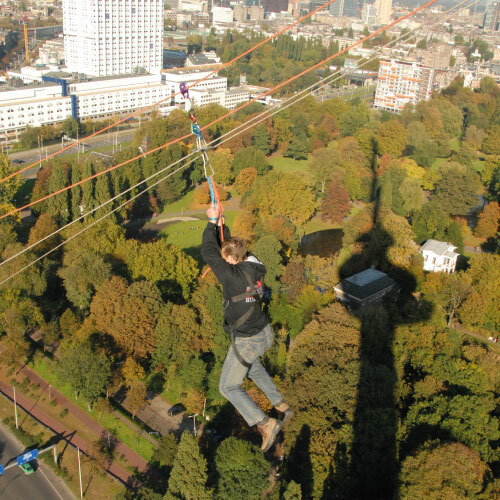 The zip line (also known as aerial runway, flying fox or rope slide) is a customized version of a funicular between two ‘solid’ objects at which participants slide down at enormous speed. Using a pulley system the lines are taut from the platform at a height of 100 meters to the field below. The speed is determined by gravity and by the force used by our instructors to slow down the participants. You go up by elevator to the platforms at 100 meters. 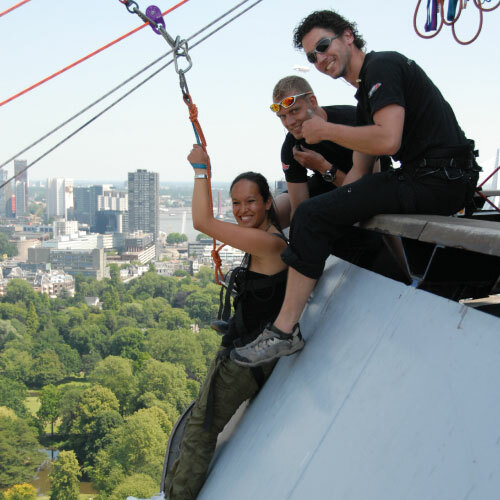 You get a harness and gloves and our professional team will instruct you comprehensively. 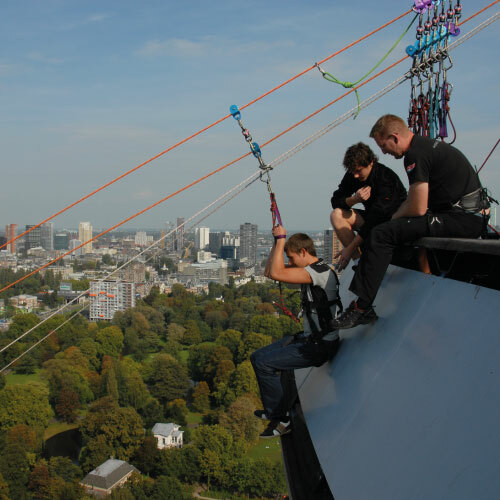 Then you climb over the edge and a extra check follows. 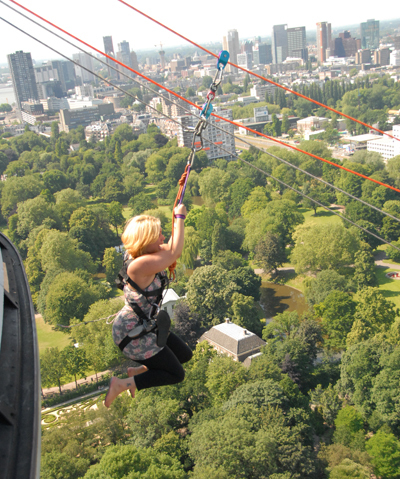 Then, hanging on the pulley system, you will fly into the depths with dizzying speed – over 100 km per hour! Within 15 seconds you stand on the ground after travelling 250 meters.